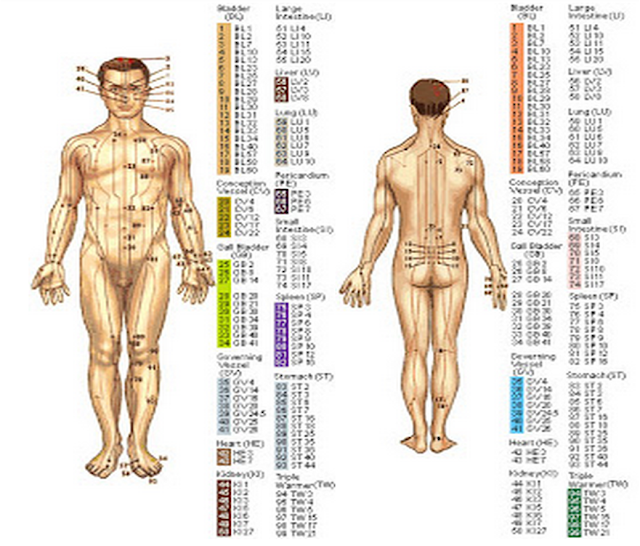 The risks of Acupressure are minimal, provided certain cautions are observed. During pregnancy, the points designated Spleen 6 and Large Intestine 4 should never be used, avoid the abdominal area entirely, if possible. Never apply pressure to open wounds, varicose veins, tumors, inflamed or infected skin, sites of recent surgery, or areas where a broken bone is suspected. Effect: Increases circulation to the urinary tract and reproductive organs. Indications : Vaginitis, urinary tract infection, and lower back pain. Effect: Master point for the bladder. Indications : Urinary tract infection. Effect: Motion sickness, chicken pox, croup, hay fever, herpes, hyperactivity, pain, fever, poison ivy, sleeplessness, weight problems. Effect: Strengthens the bladder and kidneys, and increases the circulation to the reproductive organs. .
Effect: Beneficial to the head and face, relieves congestion and headaches, removes energy blocks in the large intestine, and clears heat. Indications : Acne, common cold, headache, menstrual cramps, teething, sore throat, fever, and toothache. Effect: Relieves itching, and reduces allergic reactions. Indications : Chicken pox, hay fever, and constipation. Indications : Hay fever, sinusitis. Effect: Quietens the nervous system, and also relaxes muscle cramps and spasms. Indications : Asthma, menstrual cramps, teething, headache, eye pain. Effect: Clears the lungs, and moistens the throat. Indications : Asthma, common cold, and sore throat. Effect: Relaxes the muscles of the neck and shoulders, and relaxes the body as well. 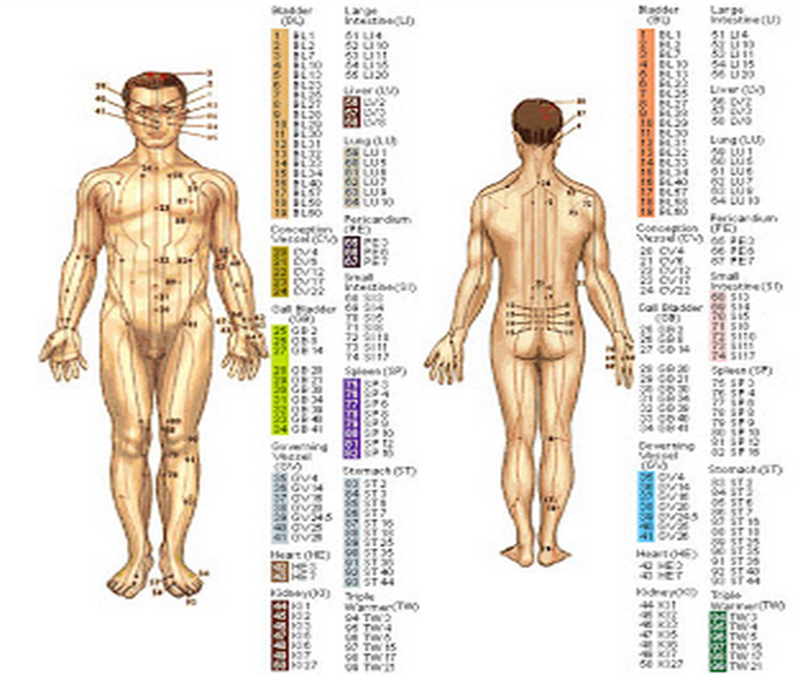 Indications : Headache, and weight–related problems. Effect: Relaxes the chest, relieves nausea, and relaxes the ming. Indications : Asthma, motion sickness, croup, sleeplessness, stomachache, and vomiting. Effect: Improves circulation, relaxes the nervous system, balances the respiratory system, and relaxes the spine. . Indications : Acne, herpes, impetigo, poison ivy, boils, and vaginitis. Effect: Tones up the digestive system, and strengthens overall well–being. Indications : Colic, diarrhea, chronic runny nose, vomiting, constipation, indigestion, and stomachache. .